Helena Hadef has spent her life in the Conservative movement, both personally and professionally. It’s not the background you would expect from the founder of a nondenominational Jewish supplementary school, one that stresses history and ethics over faith and ritual. Hadef calls the Tzedek School, located in Livingston, unaffiliated but not secular. She has designed it to be a different kind of portal into Jewish education — a “Jewish heritage school” that focuses on Jewish history and morality, rather than on ritual and faith-based practice. So far, Hadef has found such families in the area’s Russian-Jewish community. Last fall, she opened the Write Academy, an after-school enrichment program focusing on writing and research skills with no Jewish component. The program, located in space rented from the Do Re Mi School of Music and the Arts in Livingston, attracted many immigrant families from the former Soviet Union. Hadef was surprised — she had not known that Livingston had a Russian-Jewish community. Do Re Mi’s owner, Marina Goldin, immigrated from the Soviet Union in 1999 and started the school in her home, teaching in Russian. Goldin pointed out the natural appeal of a school for Russian families that strongly identify with Judaism, are fiercely Zionist, but have little Jewish background and low levels of ritual observance. “They really are no different from a lot of American Jews. But they are more comfortable putting out there the idea that ‘the religious establishment doesn’t work for us,’” said Hadef. The Tzedek School launched in January with 15 students, and will continue this fall with 25 youngsters in first through eighth grades; depending on who registers, there will also possibly be some high school students. Seventy percent are from Russian backgrounds. Classes meet Sunday mornings and Tuesday evenings at 95 Livingston Ave., in the same space as the Write Academy. Tuition is $1,200 for one day a week, $2,400 for two. By comparison, local religious schools cost in the vicinity of $1,000, usually for two days per week, and less for kindergarten through second grade, which is often held solely on Sundays. Synagogue membership is often required. Tzedek joins several other independent supplementary schools that have opened in the area, often to the chagrin of synagogue leaders who view them as competition. Hadef takes a different view, even when her school appeals to members of area synagogues. Rabbi Avi Friedman, the religious leader of her synagogue, the Summit Jewish Community Center, said he welcomes the new school. He suggested that Hadef’s school might be responding to what he views as a growing desire among certain Jews for a “fee for service” model — pay for the religious school but skip the synagogue membership. The Tzedek School does offer an optional bar mitzva track, in which students are expected to master the same skills as other b’nei mitzva, from Torah and haftara trope patterns to basic synagogue skills. Eventually, Hadef and her husband, Eric Amkraut, a partner in the venture, hope to offer Jewish heritage trips to Israel. Hadef has a lifelong association with the Summit JCC, where she belongs with her husband and five children. She graduated from the Solomon Schechter Day School of Essex and Union, the Jewish Theological Seminary’s List College in a joint program with Barnard College, and she earned a master’s degree in education and a principal’s certificate, both from JTS. She has completed three fellowships, one as a Mandel Jerusalem Fellow, one at the Harvard University School of Education Principals’ Center, and one through the Avi Chai Foundation. Over the course of her career, she has served as principal at three Conservative movement day schools and two after-school religious schools. 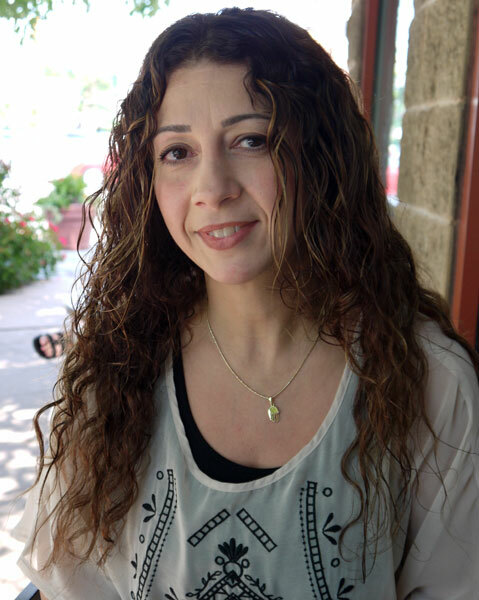 Hadef, who lives in Berkeley Heights, has lived in Israel, where she ran an Iraqi restaurant, but has spent most of her time in the United States working at day schools and synagogue schools. Hadef’s goal is to create a cadre of intellectually sophisticated Jews.